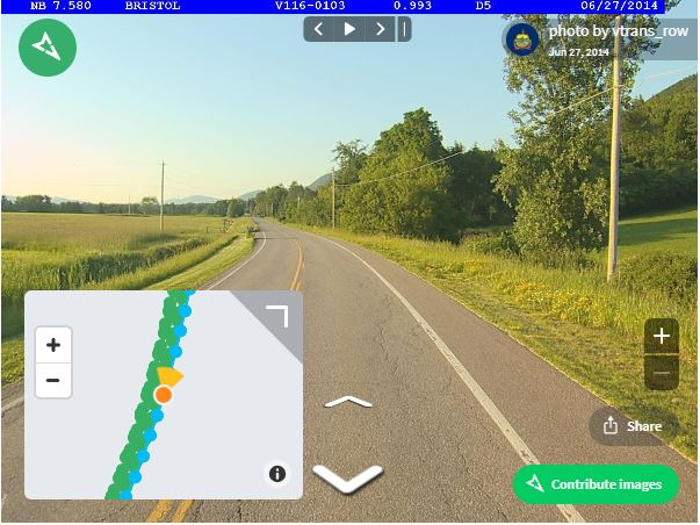 Swedish startup Mapillary has revealed how its technology has enabled the Vermont Agency of Transportation (VTrans) to make the most of its collected road imagery by using it as a cost-effective tool for highway maintenance and operation projects. Across the USA, state Departments of Transportation (DOTs) are spending in the region of US$165bn annually on highway maintenance and operation programs. Even with that expenditure, there is a huge backlog of projects nationwide, and one in five roads are considered to be in poor condition. In this environment, it is becoming increasingly important for state governments to keep track of their infrastructure assets in order to effectively designate resources, particularly since 60% of spending on highways and roads occurs at the state level. A common way of doing this is by collecting road imagery in GIS-based (Geographic Information System) asset management platforms. 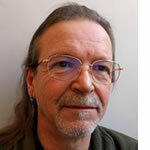 VTrans has been collecting imagery of their highway network for years, but were limited in how they could use those images with their current GIS tools. 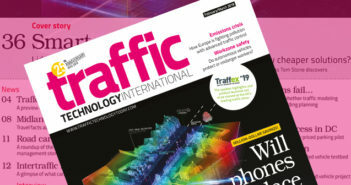 The agency began looking for a cost-effective and flexible solution to storing and using their collection of roadway imagery. In early 2018, VTrans decided to switch to the Mapillary system and brought with them five million images that had been collected over five years to the cloud-based platform. By making these images publicly available, their storage costs dropped down to zero, and they gained the ability to integrate the imagery into their existing GIS applications. Mapillary is a street-level imagery platform that uses computer vision to create detailed maps, with photos taken from any device combined into a visualization of the world to generate useful data. 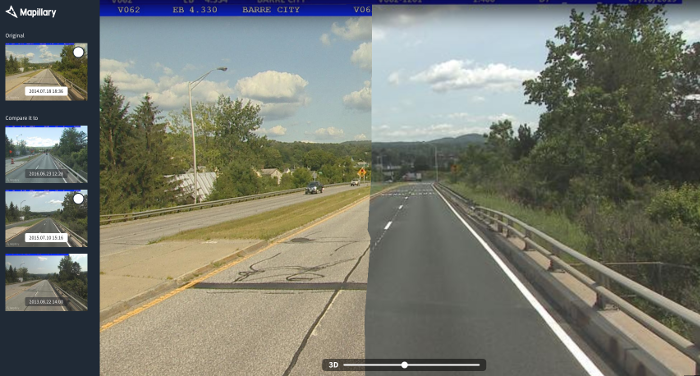 Many of the day-to-day operations at VTrans, such as pavement monitoring and repair, are now complemented by being able to use the image library. Employees are saving time and money by using the Mapillary system, with imagery used for asset identification, such as signs and guardrails, and viewed alongside GIS to give a better sense of roadway conditions, such as surface cracking, in a certain area. In addition to the storage savings, investigators and project staff often look at the images before heading into the field, which can eliminate the need for preliminary on-site visits while planning maintenance work. 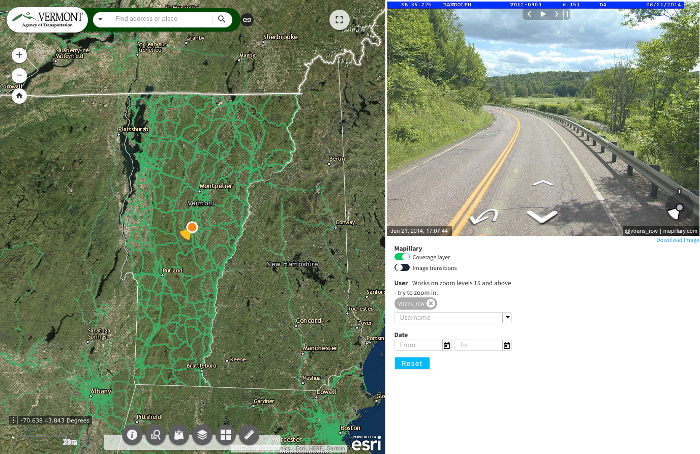 VTrans has also been able to customize internet-based modules using Mapillary’s Web AppBuilder Widget that address the needs of people across traffic operations, maintenance, and project design.